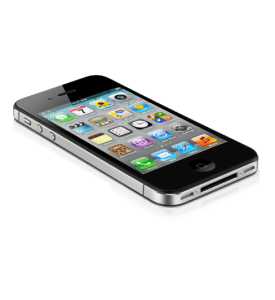 iPhone is known to be the best Smartphone of our time it was first launched back in 2007 and since then it has gotten so much popular. Apple has now become the top Smartphone manufacturer of the world and iPhone is also the most selling Smartphone. Apple has been updating the components of iPhone since it was first launch. Every year a new iPhone is released by Apple and each iPhone model comes with improved components like better camera, better processor and other features. IPhone: Great for Internet Connectivity! The main feature that was brought by the iPhone was the convenience of surfing the internet. It offers great features and online connectivity like you can surf the internet on the Safari browser, you can watch videos on other apps and stay in connected with other people through social networking apps. Internet Restrictions All Around the World! There are many countries like Iran, China, Kuwait and others do not allow people in those countries to surf the internet freely. These governments put very strict restrictions on the internet and people are unable to surf the internet with complete freedom. These countries block various popular websites like Facebook, YouTube and various others. Another problem is the accessibility of entertainment websites like Netflix, Hulu, Veoh, Pandora, BBC iPlayer and others in different countries of world. These websites are blocked in almost the entire world and are only allowed to be access in the US or the UK. Last but not the least, people have also become very conscious about their online protection and privacy and that is why they try to avoid connecting to public internet connections and hotspots. If they connect their iPhone to some public hotspot, there is a fair chance that someone else on the same network is spying on them and stealing their private information. VPN Can Help You Get Unrestricted Internet on Your iPhone! Here we have a solution for all these issues its called VPN or Virtual Private Network. Once you get a VPN connection you will be able to avoid all the above mentioned problems without any trouble. If you get a VPN on your iPhone, you will be able to surf the internet freely, no matter how much strict internet laws in your countries are. You will be able to bypass all the online restrictions in your country with the help of VPN and your ISP and authorities will not be able to detect to you as well. Another great thing about VPN is that it will provide you with another county’s IP address so that you can access the websites that are only accessible in those countries. Last but not the least, VPN also ensures maximum protection and privacy of your online data so that you will not have to worry about any outsiders spying on it. A VPN is very easy to configure on an iPhone and anyone with the basic knowledge of technology can do it without any trouble. VPN is a subscription based service but it is pretty affordable and regular internet users can buy it without any trouble. Here is the list of some of the highly recommended and best free VPN providers for iPhone. Here is the list of best paid VPN for iphone. Paid VPN is recommended as it provides more security and unlimited bandwidth. For my iPhone I always prefer Hotspot Shield Free VPN due to its Unlimited Bandwidth.